The Volkswagen Polo Playa is a supermini produced and sold in South Africa. From 1996 until 2002, it was a rebadged version of the SEAT Ibiza Mk2 five-door hatchback. A separate model, the Polo Mk3 was sold in most markets during this period - this model shared its mechanical components with the Ibiza and Playa, but in hatchback form the body panels were all different. 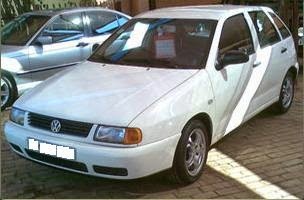 In 2002, it was replaced by the Polo Mk4, although the Polo Playa name was still used in South Africa for the Polo hatchback until 2006. Last updated on 22 March 2013 at 03:28.